The U.S. Department of Education announced Thursday it will forgive $150 million in federal student loans. Nearly 15,000 former students whose schools shut down prior to graduation between Nov. 1, 2013 and Dec. 4 will now have their loans cancelled, the Education Department announcement said. Borrowers will find out about the loan forgiveness over email Friday, CNBC reported. The rule, initiated by former President Barack Obama’s administration, is called the Borrower Defense to Repayment. The rule helps students defrauded by for-profit colleges to have their loans cancelled after three years, CNN reported. “About half of those borrowers received loans for attendance at Corinthian Colleges, Inc. (Corinthian) schools that closed on April 27, 2015,” the announcement said. Corinthian was a for-profit chain. The Accrediting Council for Independent Colleges and Schools (ACICS), a national accreditor for nonpublic colleges, was shut down in 2016. 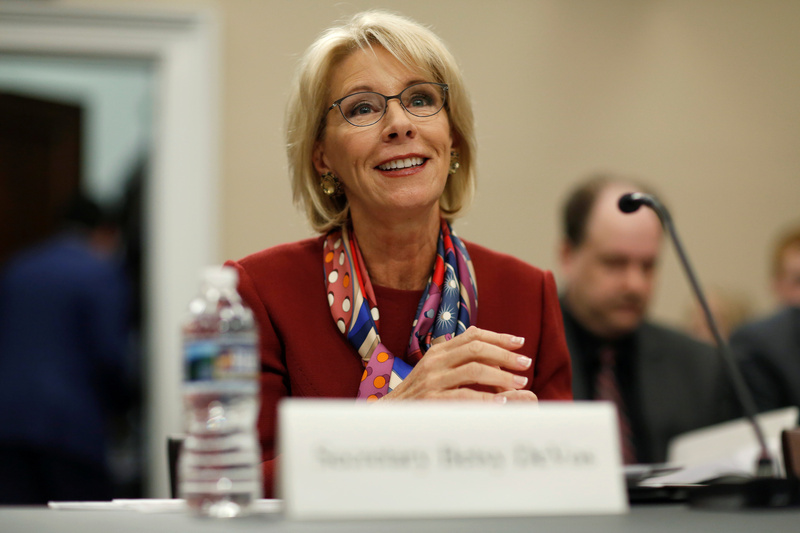 Education Secretary Betsy DeVos reinstated the college watchdog on Nov. 21 after the Obama administration claimed ACICS had poor oversight and shut it down. About $80 million will be erased for students who attended Corinthian schools, the announcement said. Students can apply for the loan forgiveness anytime, but generally have to wait three years after the college shut down, according to CNBC.